Pain has been a rising topic, and it has been proclaimed by some as one of the most misunderstood symptoms by doctors, and even more so by patients and the general public. In the area of complex pain management, there are programs that serve to address that symptom head-on, as the entry point to address its hidden (and diverse) causes. 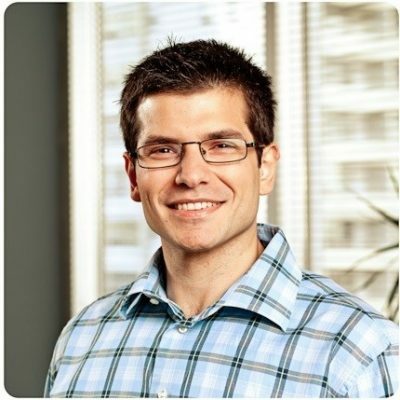 Since 2014, Dr. Demetry Assimakopoulos has been the clinical coordinator at the University Health Network (UHN) Toronto Rehabilitation Institute, Comprehensive Integrated Pain Program (formerly at Toronto Western Hospital). This specialized program deals with very complex cases of pain and how to manage it with input from various healthcare professionals to determine what pathways are best for individual patients. The clinic has been (and continues to be) supervised under a physiatrist. Recently, however, Dr. Assimakopoulos—a trained chiropractor, acupuncture provider, and certified exercise physiologist—has seen his role change. From the beginning, Dr. Assimakopoulos’ role has been primarily diagnostic, with the full team of integrative medicine healthcare providers on the team providing care. Here, his chiropractic expertise often comes into play: “On top of being the clinical coordinator, I am often called upon to provide my opinion on how the musculoskeletal [MSK] system is contributing to the patient’s chronic pain. If it’s MSK, they knock on my door.” What is new is an idea that changes how the clinic looks at pain—creating a pathway for patients that includes manual therapy. The clinic itself has evolved since Dr. Assimakopoulos joined its ranks: in 2015, Dr. Mailis stepped down, and Dr. John Flannery filled her place. At that time he was running the Musculoskeletal Rehabilitation Program at the Toronto Rehabilitation Institute. When he joined the UHN Toronto Comprehensive Integrated Pain Program, the two formerly distinct programs amalgamated. The pain program was moved to the Toronto Rehabilitation Institute and currently operates under the umbrella of Musculoskeletal Rehabilitation Medicine. This amalgamation also resulted in the development of multidisciplinary chronic pain treatment programs. Dr. Assimakopoulos hopes that they will soon have a fully-functioning chronic pain treatment team, including himself. There are also a number of new treatment programs which Dr. Assimakopoulos has taken part in developing. One of those is the Chronic Pain 1:1 Rehabilitation treatment programs, which started rolling out in January. Other programs which are currently in development are mindfulness meditation, pain self-management, and hydrotherapy group programs. When it comes to the work at the amalgamated Musculoskeletal Rehabilitation Program at the Toronto Rehabilitation Institute, the main objective is “to address the most complex chronic pain cases.” Dr. Assimakopoulos explains: “These are not patients that have mechanical low back pain that have been unresponsive to treatment for six months and a day; rather, the patients we see have undergone and failed various treatments, including conservative, pharmaceutical, interventional and surgical, and are looking for a solution in spite of these failed efforts.” He also explains that with the complexity of the cases, they schedule two hours for a new patient assessment. There is more room to position chiropractic within the field of pain management programs. The Musculoskeletal Rehabilitation Program at the Toronto Rehabilitation Institute is one opportunity to show how it can further healthcare’s understanding of pain. Patient care is paramount. Looking forward, Dr. Assimakopoulos hopes to see the program as one that can create opportunities for the chiropractic profession to work within its multidisciplinary teams and ultimately, better serve the needs of patients suffering in pain.